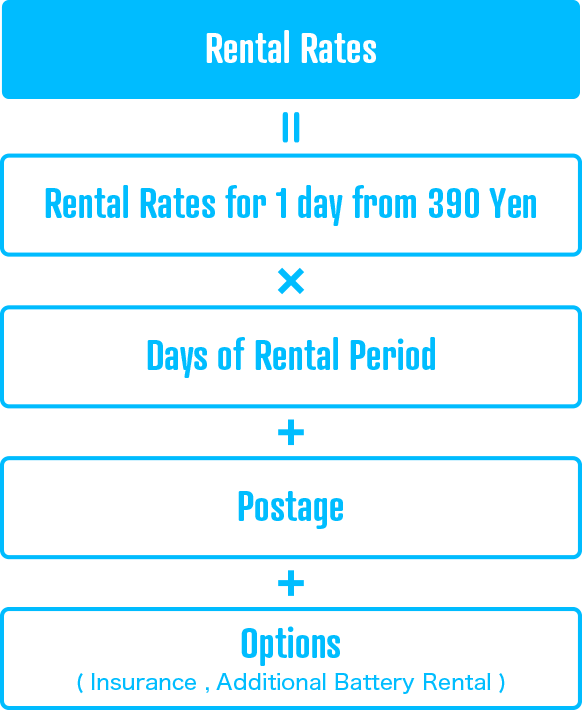 The rental rate differs depending on the model of the Wi-Fi router. There are no overage charges. The data transfer speed will be slower. We unfortunately cannot accept cancellations once you receive your parcel. Round-trip postage is 1,080 yen. Fee for return envelope is included in round-trip postage. 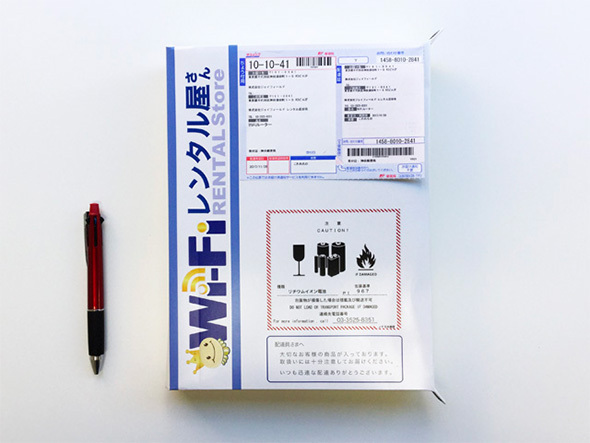 For delivery to an airport, 540 yen is required besides the round-trip postage. 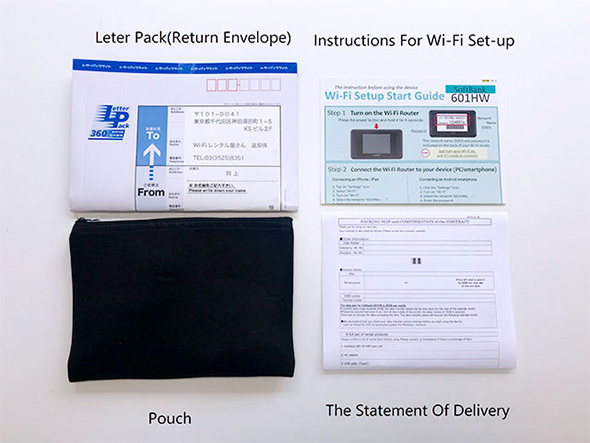 Return postage of 540 yen will be charged for the return envelope. If you pick up at our store, there is no delivery fee. When you return directly to our store, return postage of 540 yen will be refunded in exchange for the return envelope. Options can be selected when you place your order. Insurance will cover malfunctions caused by the customer's negligence, water damage etc. The details of the insurance are as below. Additional battery rental is available for 10,000mAh mobile batteries. It's for the person who uses it away from home for a prolonged period of time. Here are 3 types of Wi-Fi routers that are availa ble. Select the model when you order. What happens when you exceed the data limit? Data transfer speed will be limited. For Softbank routers, the transfer speed will slow down. With auKDDI routers, data transfer will be stopped. The data transfer speed will recover the following month. There are no charges for data exceeding the limit. How can I check the data usage? 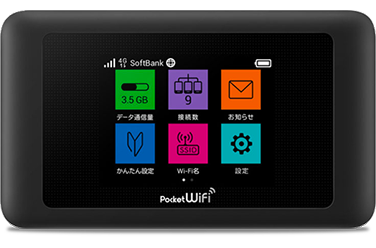 Softbank routers show the data usage on the screen. For auKDDI routers, please contact us by email or phone. Roughly how much data will I need? Watching a 1hr video on a smartphone will use approximately 0.5 to 1GB. For further details, click here. When is the data usage reset? Data usage is reset on the first day of every month. Data transfer speeds will recover the following calendar month. However, if you would like faster speeds, please place an order for another device until the end of the month. *If the data is consumed exceeding 10GB/3 days, the data transfer speed can be slow down in the evening. What are our data plans like? 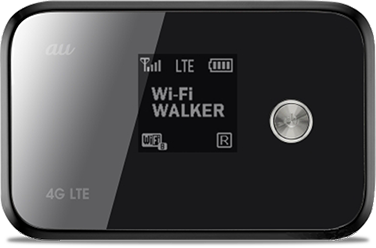 Data plans differ depending on the model of Wi-Fi routers. As a guide, watching videos for 1 hour consumes about 1 GB of data traffic. Sending messages and web browsing uses very little data. For further details on data plans, click here. 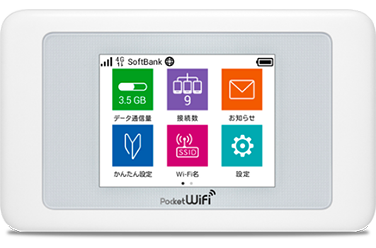 SoftBank 601HW If monthly data usage exceeds 20GB, the data transfer speed can be slow down. [Data Traffic Guarantee] Even if you start renting our products in the end of the month, the routers are guaranteed to have at least 15GB of data left till the end of the month. If monthly data usage exceeds 50GB, the data transfer speed can be slow down. the routers are guaranteed to have at least 40GB of data left till the end of the month. If monthly data usage exceeds 100GB, the data transfer can be stopped. However, if you would like the Internet access urgently, please place an order for another device until the end of the month. If large amount of data is consumed exceeding 10GB in 3 days, the data transfer speed can be slow down the next day between 6PM and 2AM (8 hours). Please contact us by email or call when you want to check how much data you used as the router's screen doesn't show it. the routers are guaranteed to have at least 60GB of data left till the end of the month. Wi-Fi routers can only connect to the Internet inside its service areas. Even if the router is in the service area, the internet cannot be accessed in places such as basements where the signals may be unstable. Your parcel will be packaged carefully, and delivered to the specified address. It's easy to dispose the package after receipt. 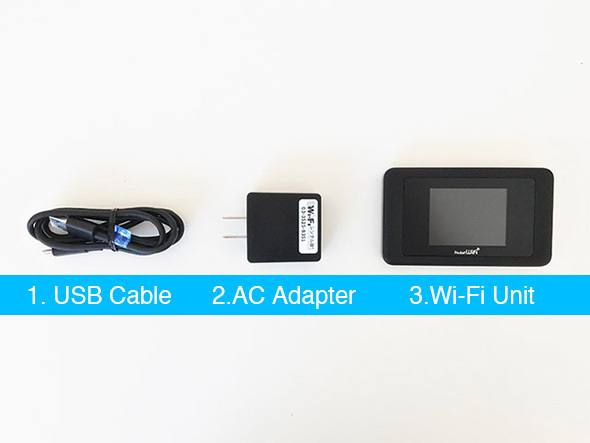 Data transfer will slow down when a Wi-Fi router is connected to more than 3 devices that are transferring data at the same time. Rent our "Additional Battery" so that you can continously use the router for more than 3-4 hours without plugging it in the wall. The data usage is displayed on the screen.